Video and audio players bring the radio and podcast show to life. The Dan Patrick Show is a hugely popular sports talk show but before it was revamped it had a one star customer rating in the app store. The DirecTV team wanted to freshen up their look with a new layout along with additional video and podcast features. The app was completely revitalized with a new theme, adding missing video capabilities and a brand new audio player for live shows and podcasts. 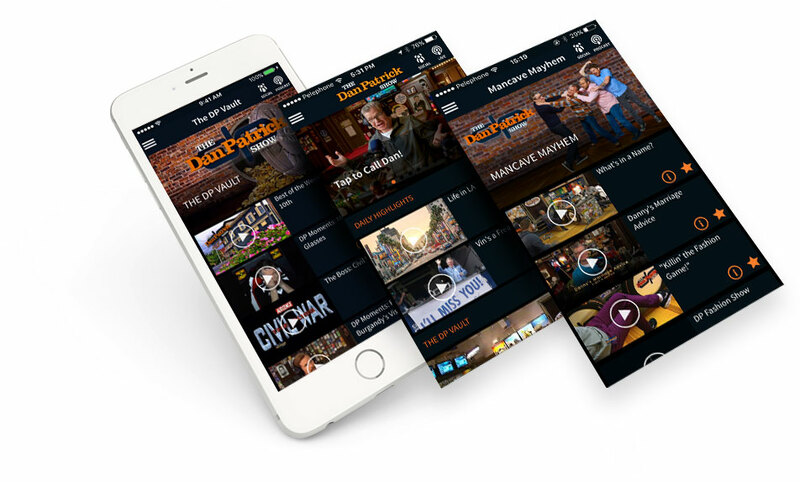 Transitioning to our Zapp platform enabled The Dan Patrick Show app to develop a reliable product with frequent updates leading to a much more stable app. We were able to adapt to their needs, allowing the app to showcase all of their high quality content. Thanks to the new Applicaster-powered app, the overall app store rating improved from one star to five stars. It now has video and podcasts embedded into a single app, making it extremely easy for customers to access. Sports fans can watch or listen to the show how and when it suits them.